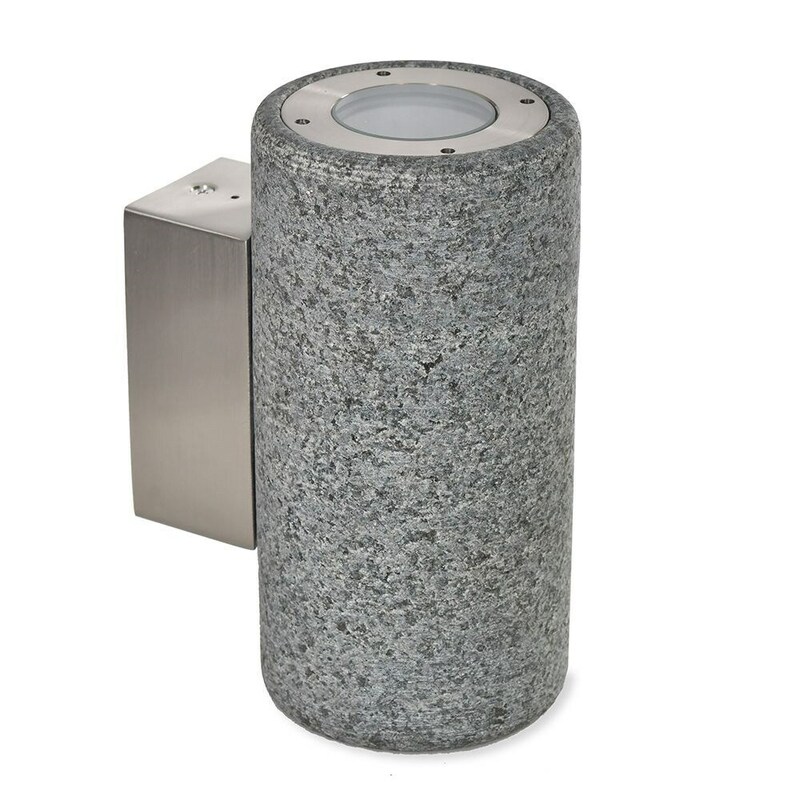 Made from smooth natural granite with a satin nickel fixing arm, this stylish Austell wall lamp emits warm white light from both the top and bottom. Perfect for illuminating porches or doorways outside or hanging in a kitchen or bathroom to match with granite surfaces. Requires 2 x GU10 bulbs (not supplied). Please note: this item will need to be wired in and it is recommended that fitting be carried out by a qualified electrician. Full instructions supplied.